Obituary for Letha Elaine (Richardson) Clester | Lanman Funeral Home, Inc.
Letha Elaine Richardson was born on September 1, 1942 to Frank A. Richardson and Anna Marie Pester Richardson in Fairview and passed from this life on January 20, 2019 in Oklahoma City. Elaine attended Homestead Schools through the eighth grade and then finished her high school as an Okeene Whippet, graduating in 1960. Elaine married Billy Lane Clester on April 8, 1961 and they lived on a farm south of Okeene. Their firstborn was a son, Johnny Lane, born on April 20, 1962, and then their daughter, Melinda Ann was born the following May 4, 1963. Settling down on the Schnell farm just south of Okeene, they began their lives as a family. Elaine stood side by side with Bill in the farming operations from providing meals, driving a wheat truck, being a parts runner, a tool pusher to tending to the animals, including cattle, pigs, chickens and horses. Elaine was Bill’s right hand “gal.” They were very active in the community through FFA and 4-H activities and fund raisers by roasting pigs and many other areas of volunteering for their Okeene community. Being a farmer’s wife wasn’t her only occupation. Bill and Elaine began a deer processing service, creating all types of smoked meats, summer sausage and Slim Jims. All of this cooking led to their decision to start a catering business, cooking steaks on Bill’s home-made rotisserie cooker. After several years of catering, they opened “Silly Willie’s Restaurant,” featuring the famous Silly Willie’s hamburger. Elaine operated the restaurant for several years before selling it. After Bill’s passing Elaine began working at the Corner Store, greeting new people and welcoming them to the historic building in downtown Okeene. Elaine, being a history buff, would share stories as she introduced the visitors to the Made in Oklahoma products which filled the store. She loved her job and poured her heart into it, serving nearly six years. She resigned to take a break. During this break she began a group called the “Grey Ladies.” She began calling the singles in the community to meet for lunch once a week, just to fellowship and eat. Uniquely the Grey Ladies wasn’t just a group for women, but men joined them as well. Elaine was an official senior citizen of Okeene. This group met on Friday with food, bingo, birthday parties and visiting. Crochet class was also on Elaine’s “things to do” list. Her biggest joy was keeping the grandkids. She loved for the “Little Ones” to visit as she shared her love with them, teaching them whatever she could. Elaine was always the center of attention when the “Big Girls” would visit to play putt-putt or whatever game they would play during their visit. Family dinners were the best with her homemade everything! Not only did she serve delicious recipes, but it was with her whole heart as well. She will truly be missed. Elaine was preceded in death by her parents, Frank and Anna Richardson and her husband, Bill. Those cherishing her memory include her son, John Clester and wife, Angela of Okeene; her daughter, Melinda Westfahl and husband, Ralph of Ringwood; grandchildren, Audra Davis and husband, Josh of Moore, Deidra Clester of Norman, Zoe, Trinity, Hailey and Isaac Clester of Okeene, Chad Westfahl and Beau Westfahl and wife, Kellie; great grandchildren, Carson and Carter Davis, Bauer and Brooks Westfahl; sister, Freda Richardson of Vernal, Utah; brother-in-law, Bob Clester and wife, Caroleen of Okeene; nieces, Kristi Kraft and husband, Donald, Traci Guerra and husband, Phil, Shannon Workman and husband, Aaron and Trina Medley; many great nieces and nephews. 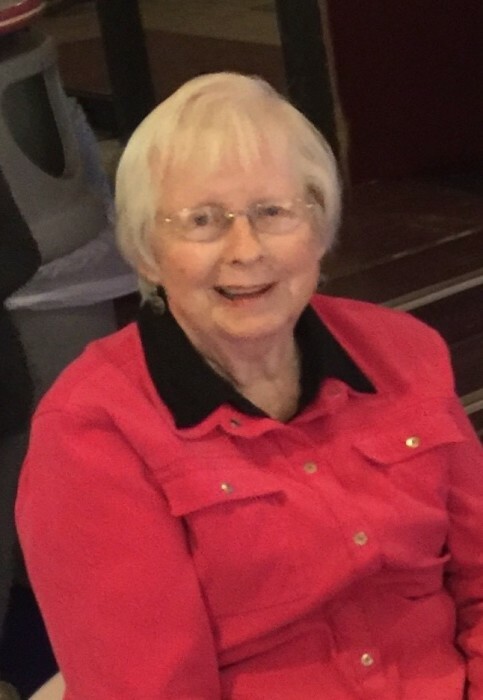 Funeral Service for Elaine is Thursday, January 24, 2019 at 10:00 a.m. at Faith Center in Meno. Burial will be at Roselawn Cemetery with arrangements by Lanman Funeral Home, Inc. of Okeene. Viewing will be Wednesday from 10:00 a.m. until 6:00 p.m. and before the funeral service. www.lanmanmemorials.com Facebook: Lanman Funeral Home Inc.
Memorials may be given to Church on the Hill in Okeene through the funeral home.